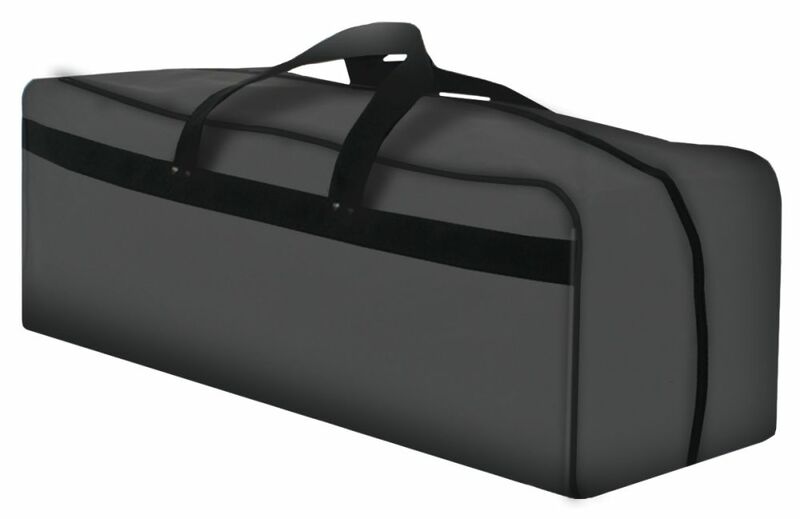 FEATURES A 29 X 12 X 9-1/2 SPECIAL COMPARTMENT WITH STRAPS TO HOLD 12 SQUARE BASE SECURELY. WELL DESIGNED NYLON CARRY BAG FOR PORTABLE USE. 44 LONG, FOR MODELS BN, BV, MB, AND GS STANDS THAT HAVE TB TRAVEL BASES OR PB PRESTO BASES. ALSO GOOD FOR UB STANDS (EXCEPT 48 MODELS). BAG HAS TOP ZIPPERED COMPARTMENT. FOR ALL TWO-SIDED SUPPORT MODELS BN4, BN5, BN6, JN4,JN5, JN6, B2X8, B258, B3X8. MULTI-POCKETED BAG HAS FULL LENGTH-CENTER ZIPPER. LENGTH 40. 33" X 12" X 13" DUFFLE TYPE CARRY BAG. EBG6 - FOR ALL TWO-SIDED SUPPORT MODELS BN4, BN5, BN6, JN4,JN5, JN6, B2X8, B258, B3X8. MULTI-POCKETED BAG HAS FULL LENGTH-CENTER ZIPPER. LENGTH 40. 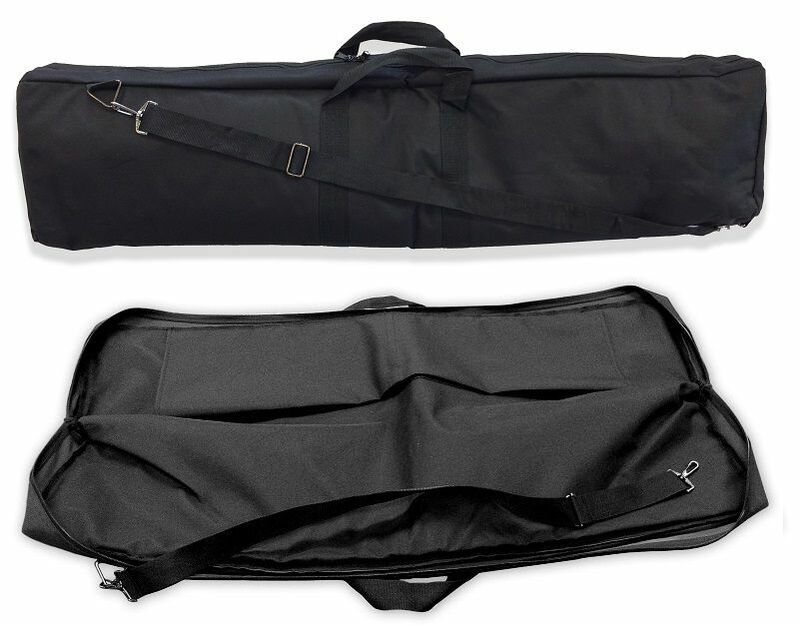 EBG8 - 54 LONG SINGLE COMPARTMENT BAG. EBGX - 44 LONG, FOR MODELS BN, BV, MB, AND GS STANDS THAT HAVE TB TRAVEL BASES OR PB PRESTO BASES. ALSO GOOD FOR UB STANDS (EXCEPT 48 MODELS). HAS TOP ZIPPERED POCKET. 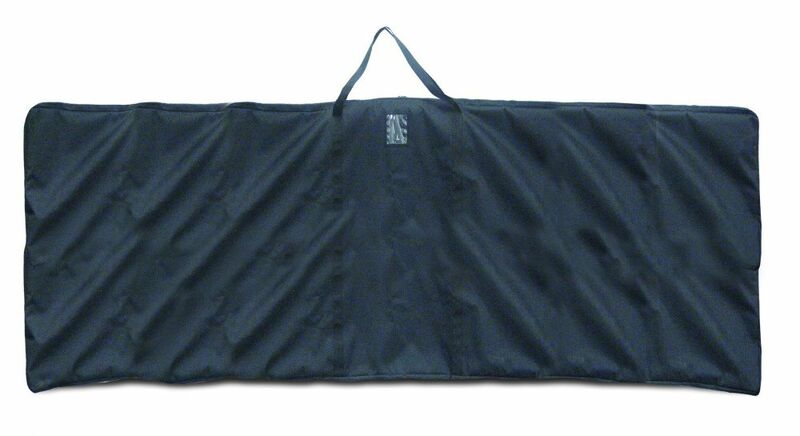 EBG-M - 79 W X 22H X 2 D, HUGE, MONSTER SIZED SOFT NYLON BAG, FOR MULTIPURPOSE USE. 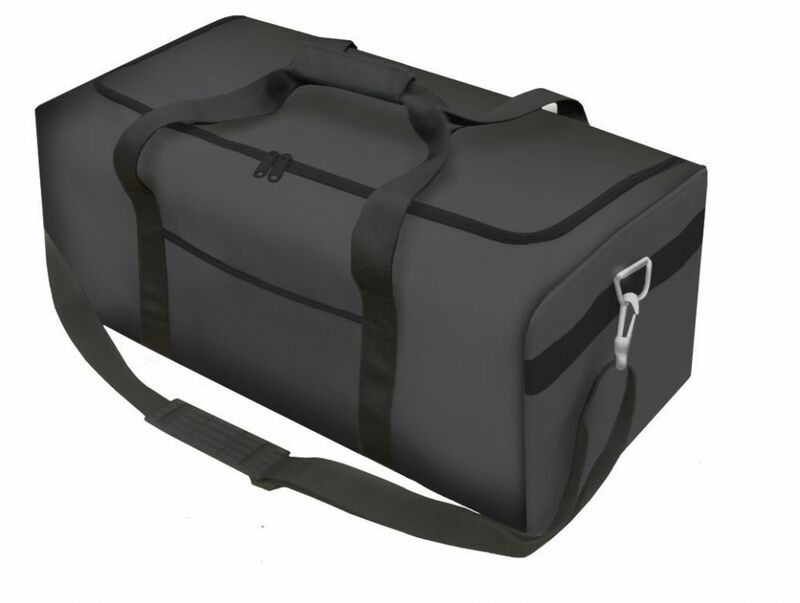 SNB1 - 33" X 12" X 13" DUFFLE TYPE CARRY BAG. EBGLR - HAS 24 X 9-1/2 X 12 POCKET WITH STRAPS TO HOLD 12 SQUARE BASE SECURELY. WELL DESIGNED NYLON CARRY BAG FOR PORTABLE USE. Durable canvas travel bags and cases are available in many sizes and styles. EBG6 FOR ALL TWO-SIDED SUPPORT MODELS BN4, BN5, BN6, JN4,JN5, JN6, B2X8, B258, B3X8. MULTI-POCKETED BAG HAS FULL LENGTH-CENTER ZIPPER. LENGTH 40. 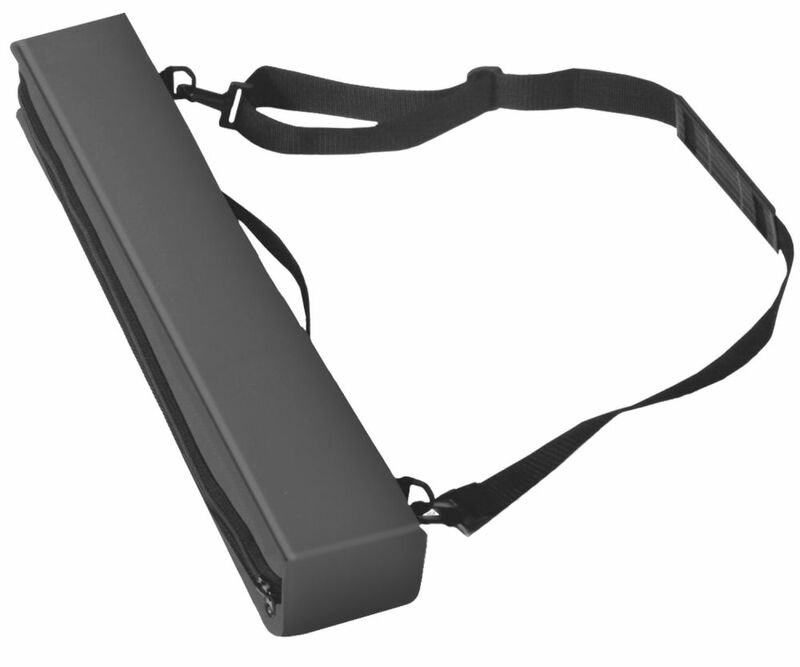 EBGLR FEATURES A 29 X 12 X 9-1/2 SPECIAL COMPARTMENT WITH STRAPS TO HOLD 12 SQUARE BASE SECURELY. 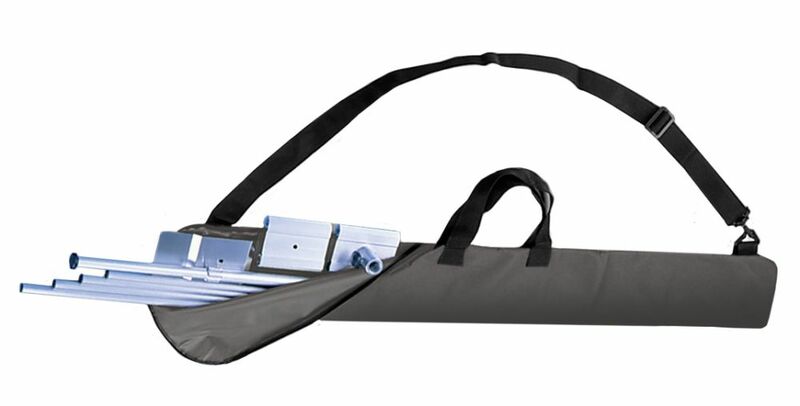 WELL DESIGNED NYLON CARRY BAG FOR PORTABLE USE. EBGX 44 LONG, FOR MODELS BN, BV, MB, AND GS STANDS THAT HAVE TB TRAVEL BASES OR PB PRESTO BASES. ALSO GOOD FOR UB STANDS (EXCEPT 48 MODELS). BAG HAS TOP ZIPPERED COMPARTMENT. SNB-1 33" X 12" X 13" DUFFLE TYPE CARRY BAG.